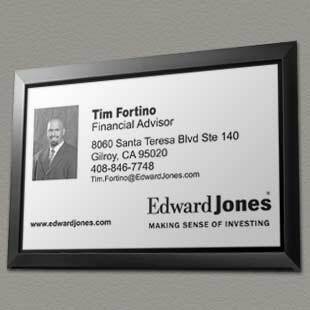 Tim Fortino is a financial advisor offering investment services tailored to the needs of individual investors. He provides a personal brand of service by discussing clients’ individual investment needs on a one-on-one basis. As expected from Edward Jones Financial Advisors, Tim Fortino provides quality, long-term investment opportunities that include a broad mix of municipal, government and corporate bonds, mutual funds, common stocks and tax-advantaged securities.